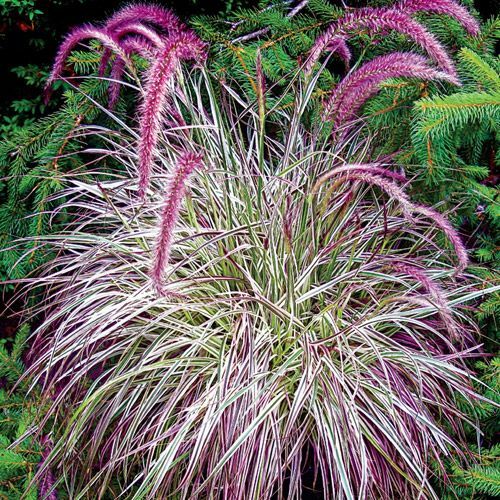 Cherry Sparkler grows quickly and easily, featuring brilliant red-purple hues that really pop near green foliage plants. It's the fast track to a stunning focal point, adding graceful, swaying movement to borders. In zones 9 and 10, it's a perennial grass that keeps the border bright for years. In zones 3-8, it is an annual plant, which is handy because perennials and annuals work wonders together. Perennials provide more years of impact, but many of the most exceptional varieties take an extra season or two to grow. 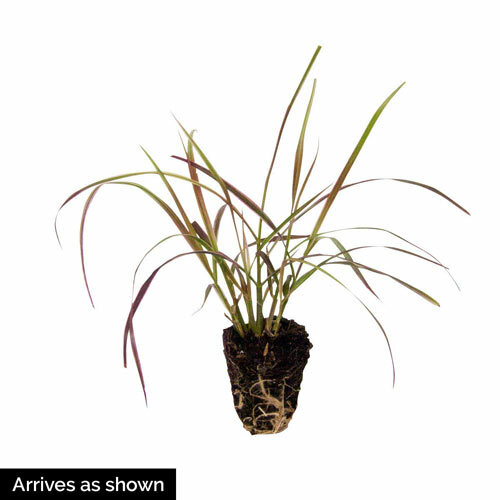 Because this grass fills in fast, it acts as a gorgeous annual placeholder, keeping your garden beautiful while you're waiting on new perennial plants to take over. You can also use it in combination pots. If you're designing a display with fillers, spillers and thrillers, the height and color makes Cherry Sparkler a bold centerpiece thriller through summer, all the way to the first hard frost. PruningTrim back old stems in late winter to early spring. Winter CareNot winter hardy. In the north it performs as a striking annual. Additional InformationHardy in zones 9-10, treat as an annual in other zones. Planting InstructionsSet at the same level it is at in the container. Firm and water in thoroughly.